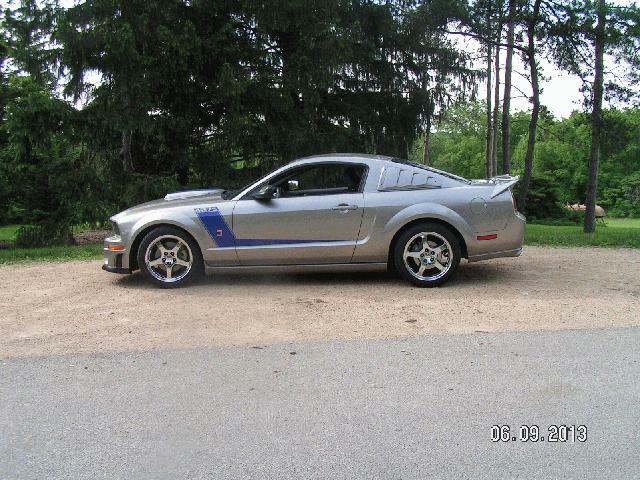 2008 stang 3 Roush mustang supercharged with 435HP. Car has just over 33,000 miles vapor silver paint. Clutch is approx 1-year old put in by ford, tires have 80% tread. This car is a real head turner pictures don't do it justice. Have plenty of pics or you can choose to see it in person. If you would like to contact me. Run34@comcast.net thanks for looking. For some reason I couldn't ad more pics but have plenty to send via email if intrested.